Sunday morning in El Raval one of Barcelona’s multi-ethnic neighbourhoods. The low-cost housing and easy access to public transport makes this an economical place for immigrants to live and the streets are ﬁlled with people from many cultures. We made our way through the narrow backstreets to the Gurdwara. People were very friendly as we entered the Gurdwara. It was quiet that morning as no music played and no one chanted from the Guru Granth Sahib, the holy book of the Sikhs. We sat down in one of the corners and counted about 20 devotees – mainly younger men praying silently. I quietly prayed that God would reveal Himself to those I could see and those who would come later that day. After about 20 minutes we moved to the langar hall where we joined a group enjoying a free meal and were able to engage with them. This visit was one of many stops during a 10 day research trip I undertook with Suneel Shivdasani from South Asian Concern. We were researching South Asians in Spain and visited Sindhi people in their homes and had the opportunity to learn from followers of the Radha Soami group in Valencia which has a more philosophical approach to life and Hinduism (they have 4 centres in Spain). We sat with a Granthi (priest) and heard stories about the group that meets in an old warehouse in an industrial area of Madrid. In Barcelona we were introduced to the Saihira Ram Vishwas Asociación (Sindhi Mandir and Hindu Cultural Centre). These devotees follow a mix of Hinduism, Suﬁsm and Sikhism in a spiritual movement to unite mankind for the good of humanity. The history of South Asians in Spain began at the end of the 19th century with Indians from the Sindhi community in the Canary Islands and the Spanish enclaves in northern Africa. In the late 1970s, a new ﬂow of immigrants moved to central and southern Spain. Today there are over 160,000 South Asians in Spain with around 50,000 of them following the Hindu religion and 21,000 being Sikhs. 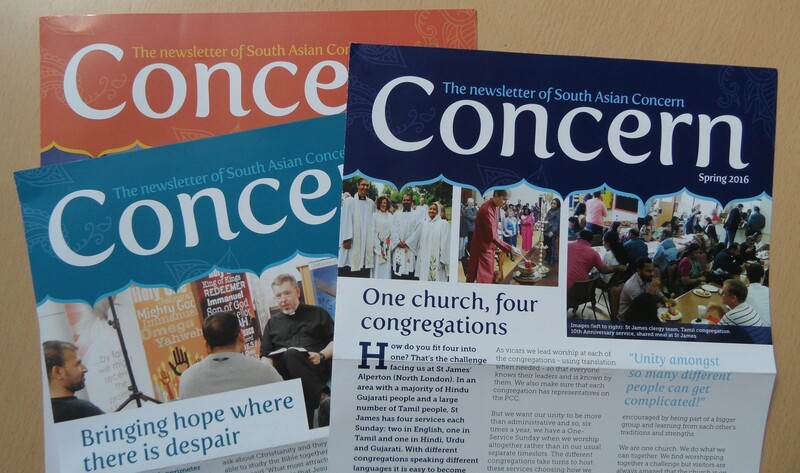 As well as researching South Asians and their religion we wanted to connect with believers and churches from these groups. God surprised us when we unexpectedly met a Nepali missionary who had planted a church in Madrid. We also met wonderful brothers and sisters who have a vision to reach out to people from India and Pakistan in El Raval, Barcelona. In spite of these ministries there are still many opportunities for outreach in Spain where the Sikhs seem to be one of the ‘forgotten groups’. Slowly the situation is changing. After every research trip we send a report to organisations that work with South Asians or have an interest in the South Asian Diaspora. It seems that God is now bringing labourers to Europe and I hope that, in the years to come, we will hear of more engagement with Sikhs, Hindus and other South Asian communities.